An unaltered photocopy of your DD-214 displaying your service in Guam. 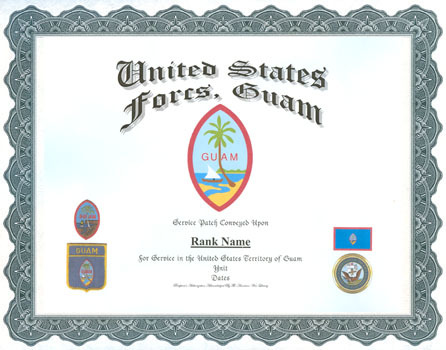 If Guam service is not stated on your DD-214 you must submit a copy of your DD-214 - AND - a photocopy of military-issued documentation establishing your eligibility. 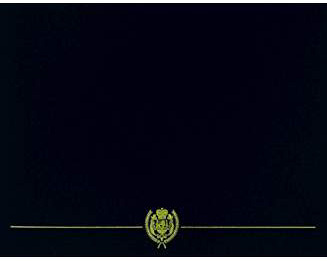 Authorized For Assignment in the Territory of Guam or surrounding waters. Guam is believed to have been settled 4,000 years ago by descendants of Japan, however, occupation may have occured as far back as 25,000 years. European colonialism began in 1668 with the arrival of Spanish settlers. The United States took over Guam during the Spanish American War in 1898. Guam is the largest island in Micronesia and the only American-held island in the region before World War II, Guam was occupied by the Japanese in December 1941, and was subject to fierce fighting when American troops recaptured the island in July 1944. Today, Guam's economy is mainly supported by tourism (primarily from Japan) and United States military bases. Guam currently serves as the largest American buildup of military personnel and materiel on the globe in anticipation of possible conflict China which is rapidly expanding its regional military capabilities.